Please click our card below to read our year-end report. We had a bittersweet year; we said goodbye to too many of our older education bats, WNS continues to spread unabated, fruit bats are being targeted in Queensland, and the Christmas Island pipistrelle was declared extinct. But despite the sad things, we met amazing caring people who went out of their way to rescue lost bats, worked with researchers and rehabbers who are giving their all to save vanishing bats, welcomed new volunteers and apprentices who are giving their precious time to help our local bats and our mission, and talked to thousands of young people who care deeply about bats, the environment, and the world they’re growing up in. Thanks to all our members and friends who support us with time, donations, and kind words. And of course, thanks to all the bats who give us a reason to keep fighting for them. 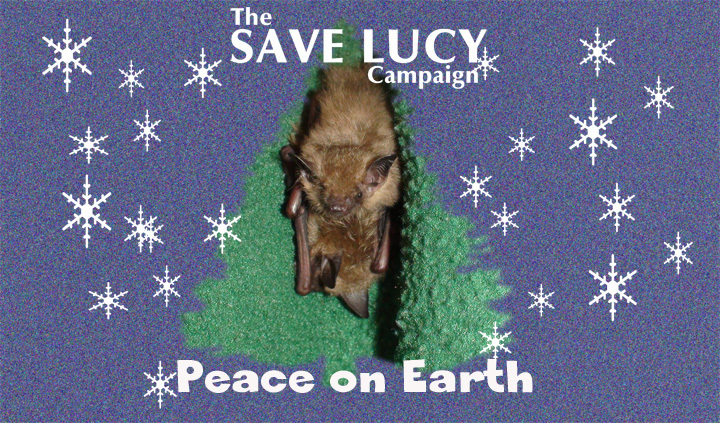 Copyright © 2019 The Save Lucy Campaign. All rights reserved.